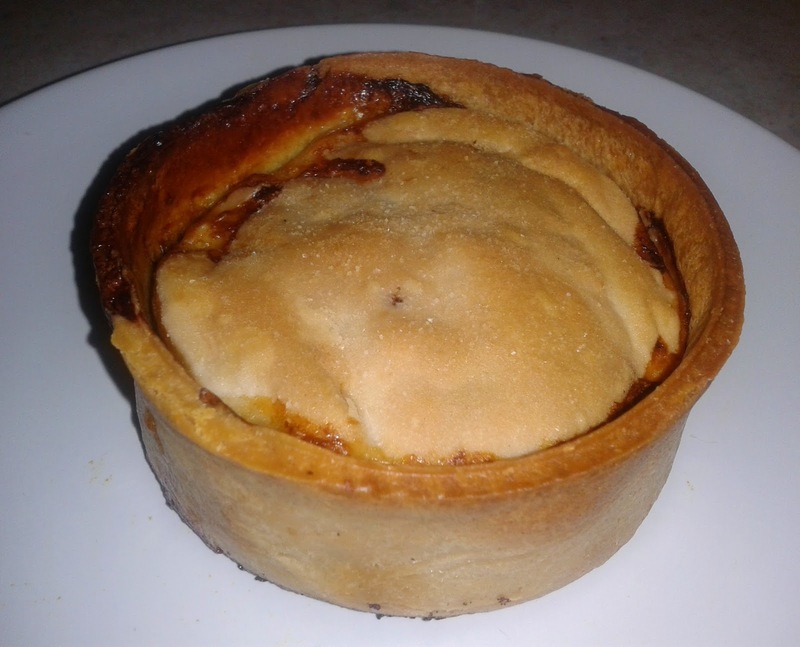 Pierate - Pie Reviews: Should the Scotch Pie be Independent? Should the Scotch Pie be Independent? It is true that Scotch pies are easily found across the UK in most supermarkets. However, at the risk of being accused of applying a personality to an inanimate pastry case with minced animal filling, I would say that the Scotch Pie doesn't give a damn about England, Wales or Northern Ireland. It is only there because it has to be. The Scotch Pie is undoubtedly Scottish (not like that imposter the Scotch Egg!) and seems to be at home in its natural habitat of Scotland. Scotch pies are everywhere across Scotland and also the Scotch pie case is commonly used for many other Scottish pies such as the Macaroni Pie. The Scotch Pie has similarities to other British pies but certainly has its own unique flavour and identity. It is very Scottish, but this of course isn't enough, it can be Scottish and perhaps still benefit from being in the Union. The first question is; can the Scotch Pie be independent? I would argue that of course the Scotch Pie can be a successful small pie if it was independent. The Scotch Pie Awards have been running since 2002, much longer than their equivalent British Pie Awards. We observed the professional nature of these awards when we judged. The Scotch Pie Club have even provided guidance to the British Pie Awards. The Scotch Pie Awards have proved to be an excellent way of promoting the Scotch Pie and raising standards. There is no reason to think success would not continue if the Scotch Pie was independent. The next question is whether the Scotch Pie would gain any advantages if it were independent? There may be benefits to the 'Scottish Brand' if independence were gained, which would also benefit the Scotch Pie. This argument doesn't seem very strong because the brand already seems to market itself well. The Scotch pie benefits from promotion across the UK via the media. For instance, the Scotch Pie Awards were headline news on the BBC website in 2014, receiving much publicity. The SNP have said that independence would see the creation of a Scottish Broadcasting Service and presumably the remainder of the BBC would then focus attention on the rest of the UK, losing this publicity. This would probably apply to other media also. There is also the question of whether the Scotch Pie would still be able to compete at the British Pie Awards. These have provided good publicity for Scottish pies, with Boghall Butchers doing particularly well this year. Presumably Scotch pies and Scottish Pie companies would still be able to compete as they would still be 'British' but this is uncertain. There might be a bit of resentment from the rest of the UK towards Scotland for leaving. Should I be independent? Such a difficult decision! Maintaining the Union would bring certainty to the Scotch Pie, no change means no risk. Only one thing is for certain with Independence, Scotland would undoubtedly get custody of the Scotch pie, even if the divorce is a bit messy. I don't think anyone can really say whether the Scotch Pie would be better off if it was independent, there is too much that we won't know unless independence goes ahead. A bit like slicing into a pie, you don't know whether the filling is going to be great, or disappointing, until you have gone past the point of no return. The question really comes down to a gut feeling of whether the Scotch Pie should be independence and, if you believe it should be, then the risk might be worth taking. Pierate's Crocodile Pie Recipe attempt! The Hull Pie - One Hull of a Pie Shop! Pie at Edgbaston? That’s just not cricket! Are The Real Pie Company the real deal?! Should you pocket a Pocklington's Steak Pie? 500 Pierate posts celebrated with Piecnic video! The world’s first piecnic – we just added pie!